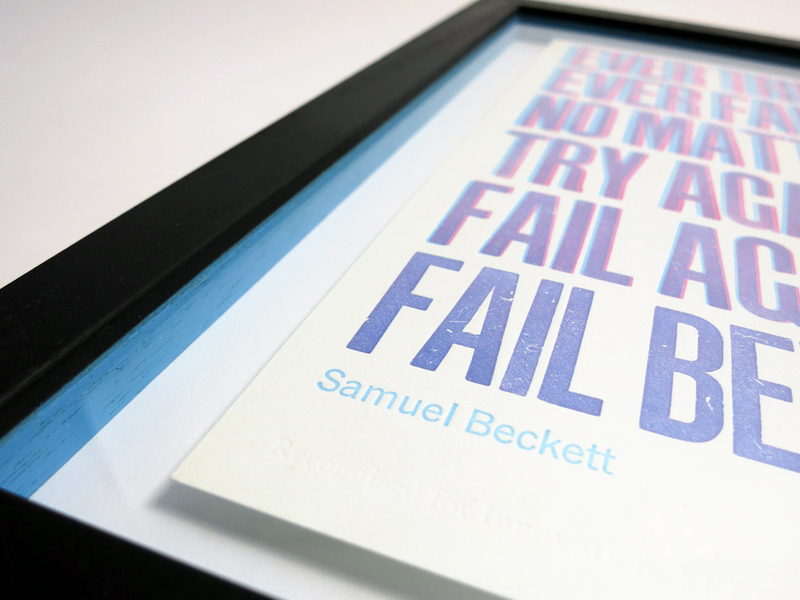 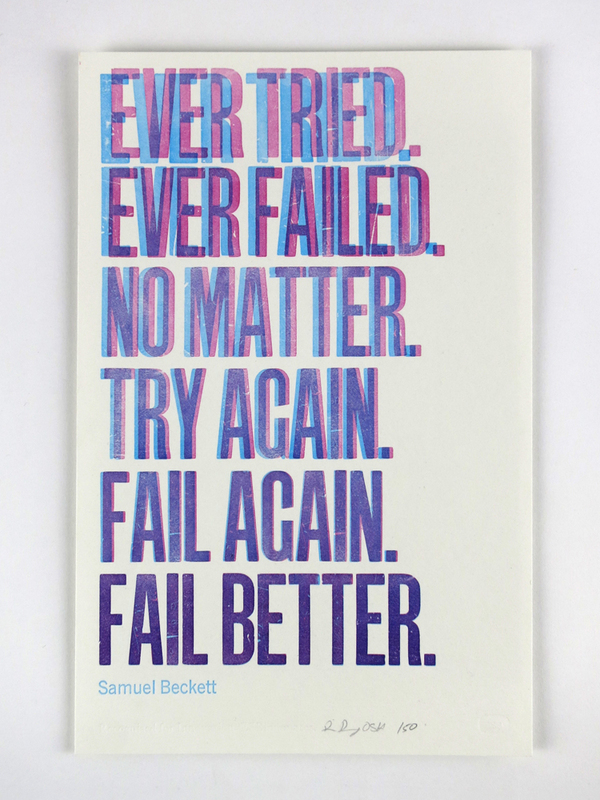 This wonderful Samuel Beckett quote was commissioned as the award for the ESB innovation awards. 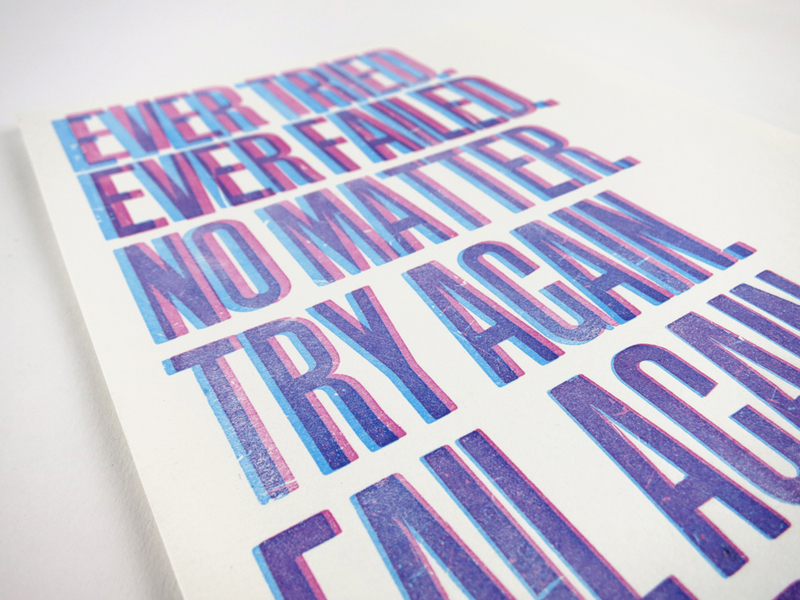 Printed in two overprinted colours which improve in registration towards the end of the sentence. 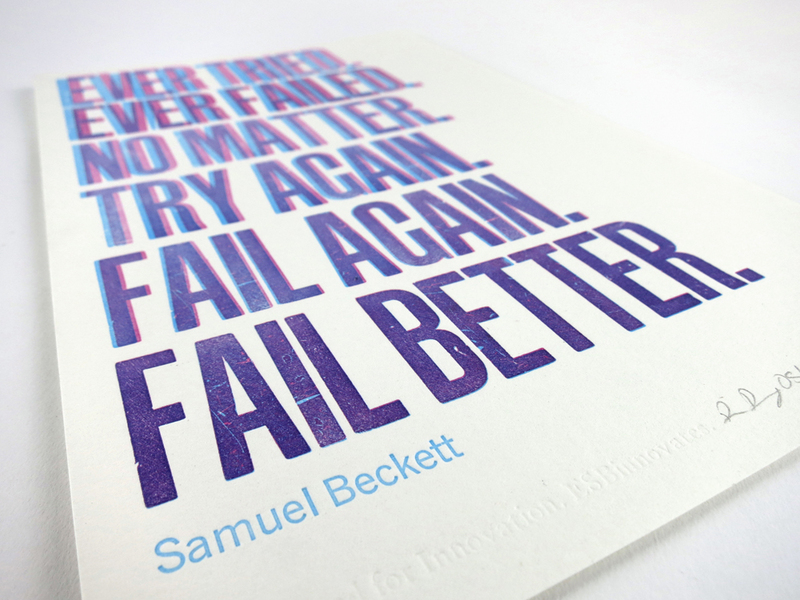 Printed in two colours on Colorplan bright white.